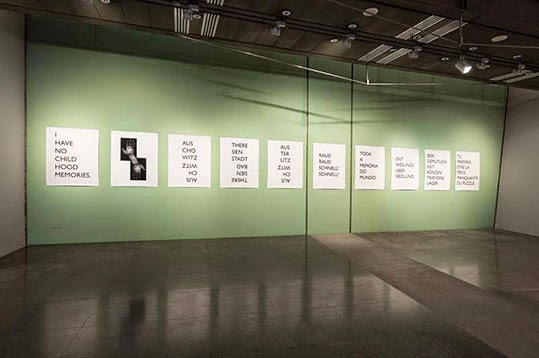 All the Memory of the World, Part One, a show dedicated to memory, literature and the ever-expanding archive that is the internet, opened the SONAE-sponsored new cycle of exhibitions at the National Museum of Contemporary Art – Museu do Chiado (MNAC) in Lisbon. 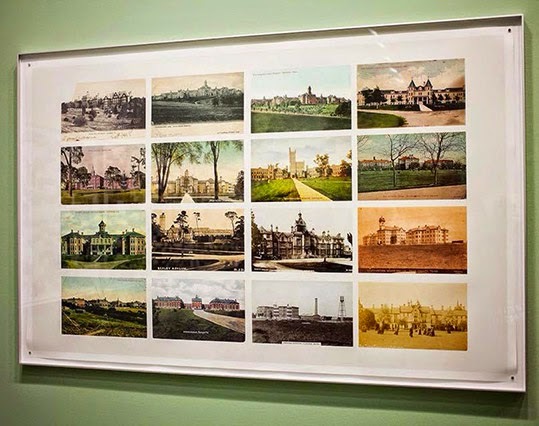 Curated by MNAC Director David Santos, it features works by Daniel Blaufuks (b. Lisbon, Portugal, 1963) that are deeply connected to the artist’s PhD research, which he is carrying out at the University of South Wales. 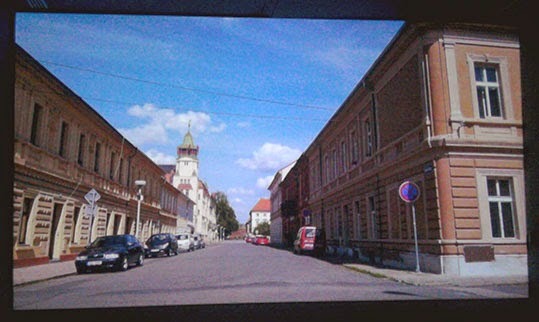 Having worked in previous projects on the subject of the Holocaust – Under Strange Skies (2002) and Terezín (2007) – Blaufuks continues his exploration of the viewer’s perception of reality through filmic and photographic images and archive footage. In All the Memory of the World, Part One, Blaufuks returns to German academic W. G. Sebald’s Austerlitz (2001), a novel about a Jewish refugee who arrived in Wales as an infant in 1939. In the story, we learn of the main character’s (Austerlitz) history and the effects the 1944 Nazi propaganda concentration camp film Thereseindstadt. 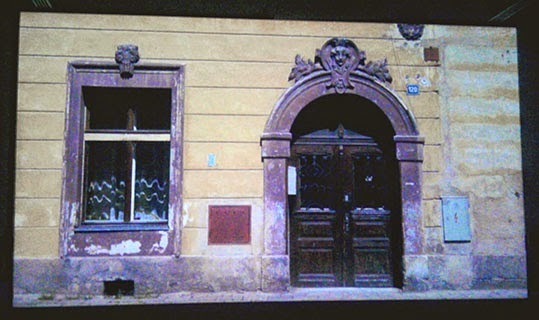 Ein Dokumentarfilm aus dem Jüdischen Siedlungsgebit as well as other archive images from various European libraries had on his childhood memories. 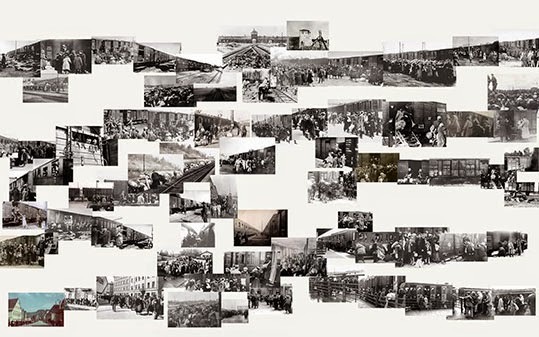 As such, archive footage and documentary photography reflect how images can entomb memories. Additionally, Blaufuks looks to W, or the Memory of Childhood (1975), a semi-autobiographical work of fiction by George Perec. The French author interprets his childhood memories, pointing out that many of these are simply borrowed or outright false. A member of the French group Oulipo, Perec used constrained writing techniques, a reference we see reflected throughout the exhibition, not least in the opening sequence of text-based images whereby wordplay points to tragic similarities between Austerlitz and Auschwitz or Theresienstadt and Theresienbad. 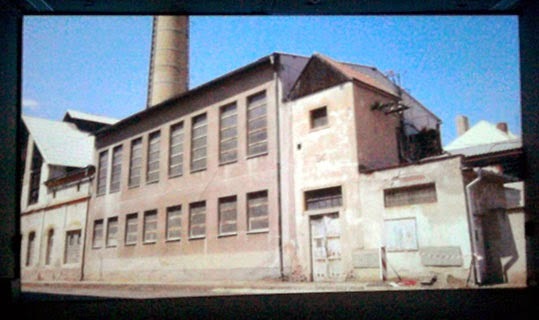 A particularly powerful element of the exhibition is the 4h35m-long video As If (2014). It intertwines modern day images of the Czech town of Terezín (the name Theresienstadt took on after WWII) with popular fictional depictions of the concentration camp. Among the artificial recreations, stand the 1978 mini-series Holocaust and the aforementioned 1944 Nazi propaganda film. In the midst of sunny, empty streets and buildings, the sounds of steps, human voices and train engines taken from films populate the modern Terezín like ghosts of the past. In one shot, school children are toured through the abandoned camp whilst taking photos and idly chatting, and in another, the viewer is faced with the same spaces filled with people re-enacting scenes whose accuracy we will never really know. At the same time, by using footage from the staged Nazi film alongside images from Hollywood productions, Blaufuks confronts our perception of truth and the construction of a collective memory based on fictional representations. As such, the piece reflects on how we remember, forget and believe we remember. The idea of a constructed memory based on mediation is a common thread running across the works. Although many of Blaufuks’ works are based on archival images and found footage, these are generally intimately connected to the artist as they tend to come from from his family records, particularly from Blaufuks' German Jewish grandparents who sought refuge in Lisbon during WWII. 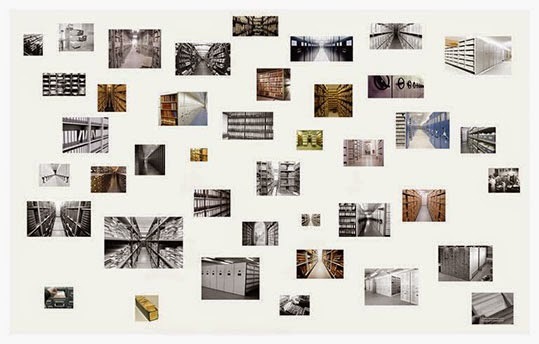 In All the Memory of the World, Part One a shift is nevertheless made to include and research images from the biggest archive known to man: the internet. By assembling images found online to create his compositions or “visual maps” as he describes them, Blaufuks presents the viewer with a representation of the intricate variants depicting a single concept. Today there are millions of images that can be associated with the Holocaust and whether fairly or in poor taste, due to the internet, these become of equal value or importance. By presenting the images in an almost free-association style, Blaufuks illustrates the democratisation that the archive and now the internet can have on the image and its reading. All the Memory in the World, Part One therefore builds upon Blaufuks’ previous work and the references that form its basis. Similarly to reading either Sebald or Perec, the gallery visitor leaves wanting to delve deeper into the presented subjects and return knowing a bit more about these.